James was appointed Chief Financial Officer in December 2017. James leads financial strategy, reporting, analysis, compliance and advice across Opteon. James has a proven track record engaging with progressive leaders who thrive on delivering results in high growth businesses. 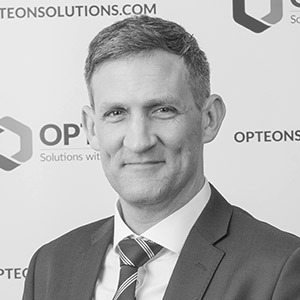 With a combination of financial, commercial and operational experience, James contributes to Opteon’s leadership through developing and executing financial, commercial, cost leadership, operational efficiency and people development strategies. James is a qualified Chartered Accountant, graduate of the Australian Institute of Company Directors and holds a Bachelor of Commerce from the University of Melbourne.